The skirt of the Sabrina Bridesmaid gown flows beautifully into a sea of stretch tulle, finished by asymmetric single shoulder detailing. 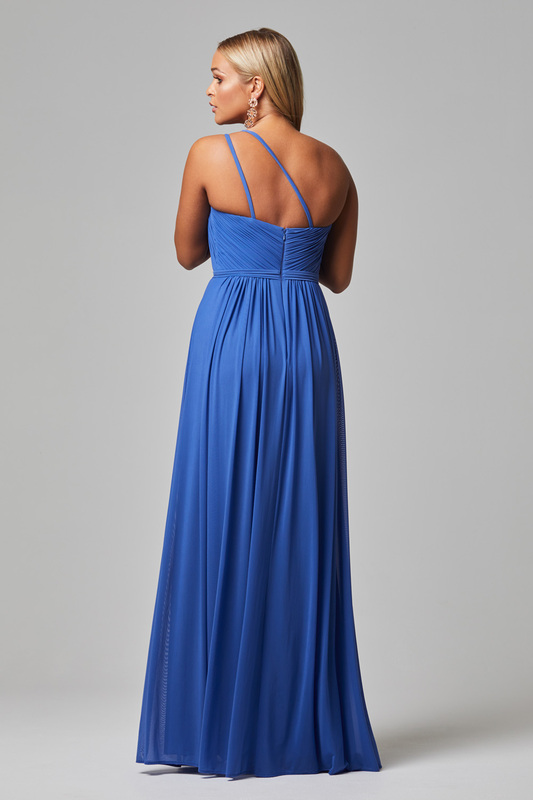 Turn heads on your special day in the captivating Tania Olsen Designs Sabrina bridesmaid gown. The showstopping dress features a supportive double strap, single shoulder detail, thin waistband and flows into a waterfall of stretch tulle.